Nutrition has always has been a primary component of disease control and management. Whilst mineral fertilisation is widely understood, the importance of soil organisms in agricultural production is still not yet generally recognised as of equal importance in supporting plant life. Soil organisms can increase or reduce agricultural production, likewise, agricultural practices can be both beneficial and detrimental to organisms. As with mineral uptake, a natural balance exists. Soils with high levels of organic matter support a greater and more diverse range of microorganisms whose activity within the soil makes nutrients available for each new generation of plants. Organic matter thus supplies the “life of the Soil” in the strictest sense. Mineralization, the conversion of organic matter by soil organisms to available nutrients, is the key to soil fertility while microbial activity is the natural life cycle of the soil system, in which nutrients become available to plants. Plants form mutual relationships (symbioses) with soil micro-organisms. 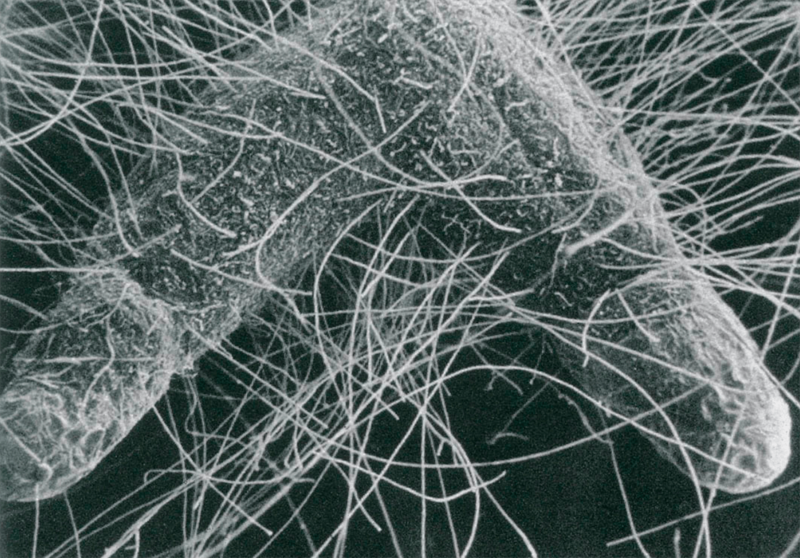 Beneficial fungi like Mycorrhizal fungi absorb water, nitrogen, phosphorus and other nutrients from the soil making them available to the plant whilst in turn 20%-35%of all simple sugars, produced by the plant via photosynthesis are pushed out of the roots into the soil to attract bacteria and fungi that will protect the plants from pathogens. This is a natural condition which can be disrupted by excessive chemical applications, often resulting in pathogenic species becoming dominant. Disease causing organisms (pathogens) affect crop growth in two ways: by invading the plant cells, or by the production of poisonous metabolites and excretory products. Pathogens invade roots to obtain nutrients, disrupting root performance, reducing root length, or rotting root tissue. The degree of damage generally relates to the number and type of pathogens present which in turn will be directly related to the presence or absence of a well balanced microbial diversity of beneficial organisms. Soils with high levels of organic matter and organism activity, or a specific group of beneficial antagonistic microorganisms, are known as suppressive soils. These soils prevent aggressive pathogens from taking hold. The addition of beneficial microorganisms work with you, improving crop profitability, whilst enhancing soils for future generations through the substances they secrete. Likewise, all of the essential mineral elements are reported to influence disease incidence or severity. Summaries of research findings on mineral nutrients and pest and disease management all point in the one direction: plants with optimal nutritional status have the highest resistance to diseases and that susceptibility increases as nutritional status deviates from this optimum. Fertiliser use at excessive rates has deleterious effects on crop growth as does a deficiency of an element. Nitrogen directly impacts vigour and plant growth which in turn impacts on plant susceptibility to many diseases. Vigorous plants with rapid growth are generally more sensitive to obligate parasites and some pathogens are specifically more aggressive towards vigorous plants. Phosphorous application seems to favour plant protection against diseases, either by correcting a deficiency in soil Phosphorous and thereby inducing better growth of the plant or by speeding up the maturation process, disfavoring some pathogens like Downey mildew that affects the young tissues. Potassium has a beneficial effect on the quality of a wide range of crops, especially in terms of improved protein quantity and quality. Potassium can decrease the incidence of plant diseases and reduce abiotic stresses, particularly cold stress. The element may have a direct action on pathogen penetration, lesion size and on inoculum density. An indirect effect of Potassium on disease development is to stimulate the healing process (interaction with the scar parasites), to increase the resistance to cold, and also to delay maturity and senescence of fruits. In an even more simple fashion, the susceptibility of plants to diseases decreases in response to Potassium in the same way plant growth responds to increasing Potassium supply. Calcium has an effect on the cell wall of plants by making them more resistant to pathogen penetration. A deficiency in Calcium increases the sensitivity of plants to fungi as these fungi find it easy to penetrate cells deficient in calcium. 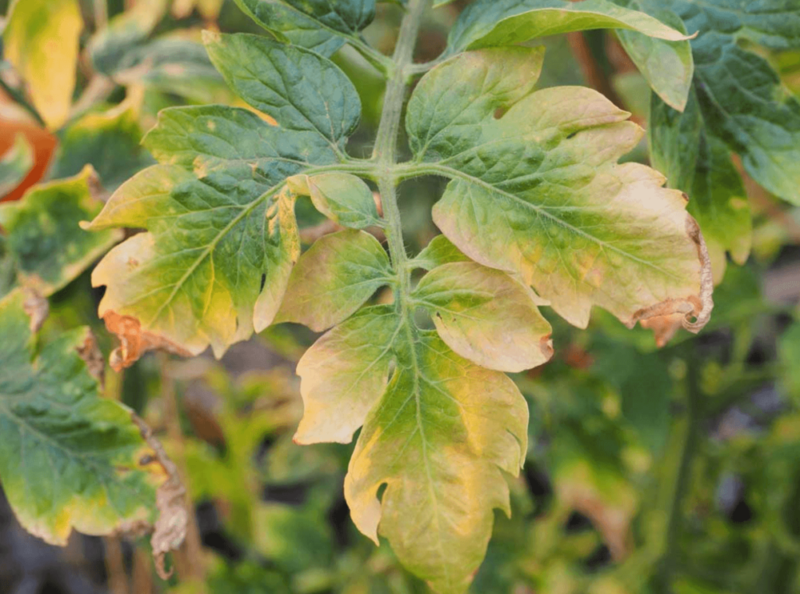 It is more apparent with an element such as Calcium that the nutrient deficiency triggers an abnormality in the plant and a fungal infection is a secondary event. Further to this, plant tissues low in Calcium are much more susceptible than tissues with normal Calcium levels to parasitic diseases before harvest (Botrytis) and during storage (fruit rots) .